Lampshades and cushions are a great addition to any interior. 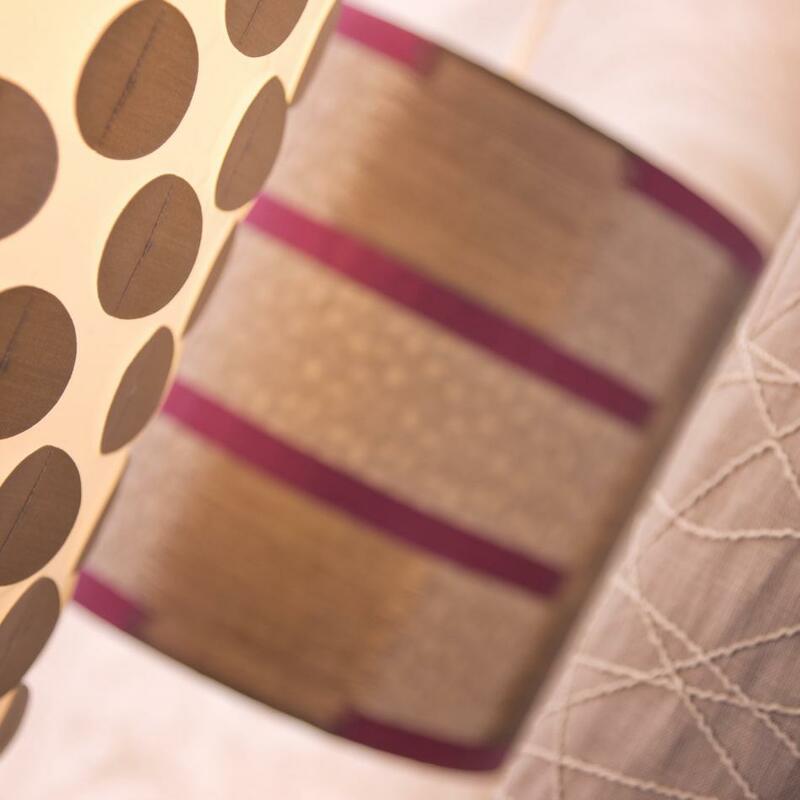 Our bespoke lampshades can be just what you need to bring your new scheme together. Our lampshades can be made in various shapes and sizes. We can work around most base units and advise on the best proportions. 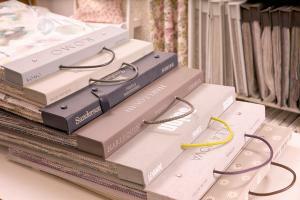 We can also provide pendent ceiling shades with diffusers and help you choose from our vast range of fabrics. 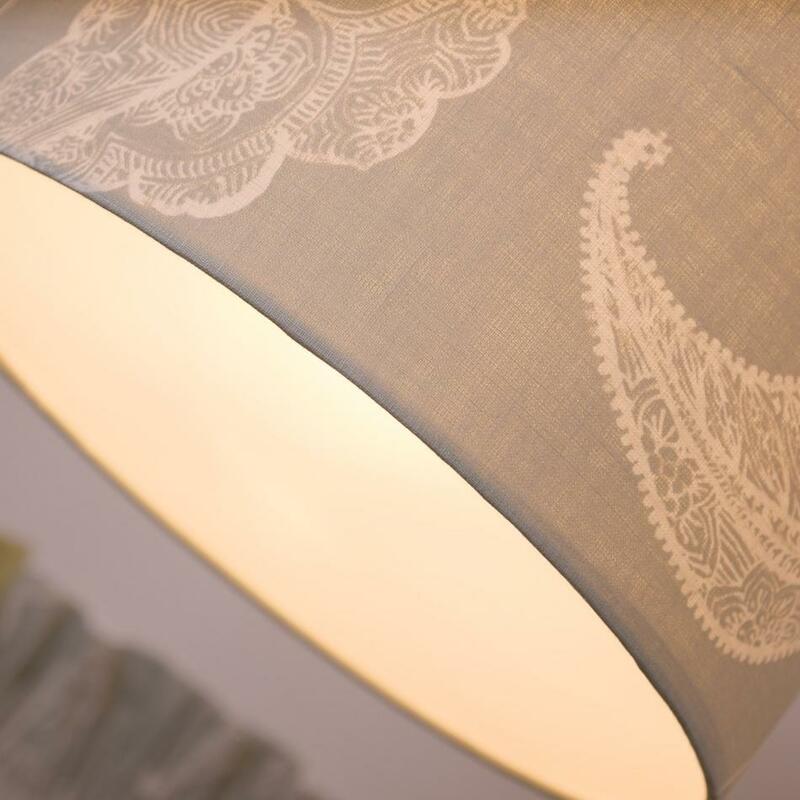 Your new lampshade can be just what you need to put the finishing touches to your new room. What is a hard lampshade? 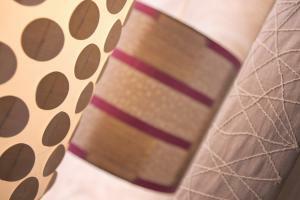 A hard lampshade is where the fabric of your choice is held on to a ridged PVC backing. 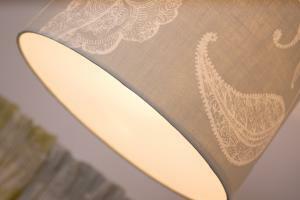 Can all fabrics be used for lampshades? 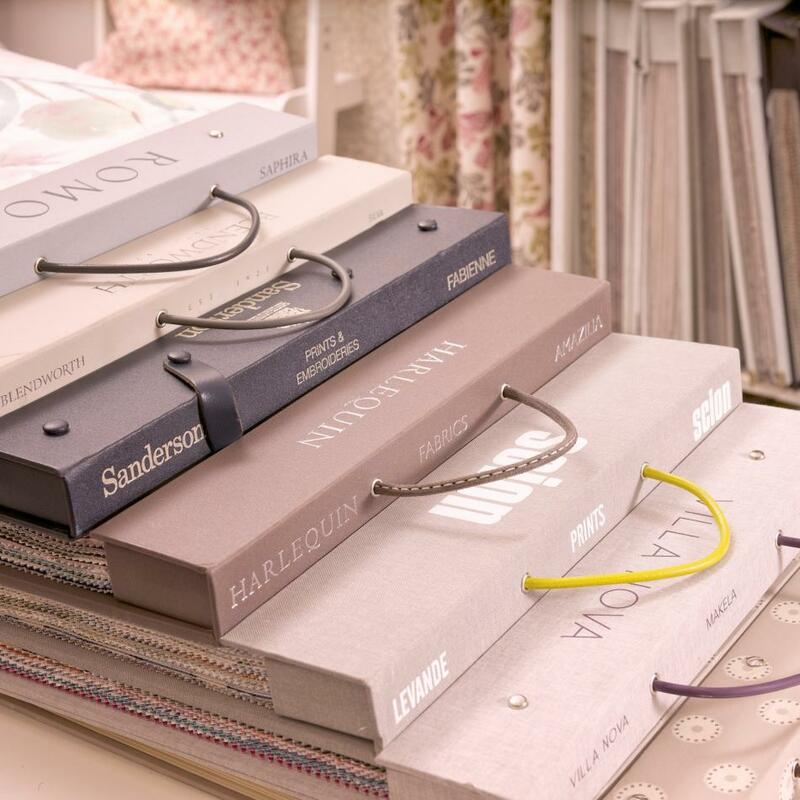 Most fabrics are suitable, we will advise you against any fabric we feel may not give the best results. Do you do balloon lined lampshade? Are diffusers available for ceiling pendants? Yes. Depending on the size required.